Peace Corps Online: RPCV sends six hunded pounds of books to the Philippines over the past nine months. RPCV sends six hunded pounds of books to the Philippines over the past nine months. Peace Corps Online: Directory: Philippines: Peace Corps Philippines: Peace Corps in the Philippines: RPCV sends six hunded pounds of books to the Philippines over the past nine months. 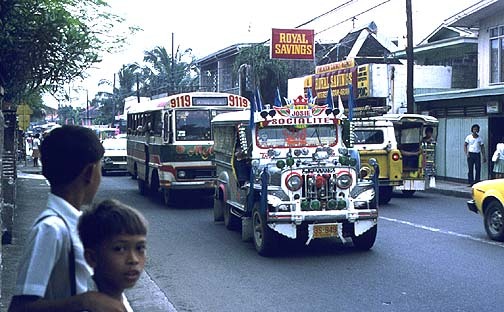 The Peace Corps tradition was arguably started by the Thomasites, a group of educators who got their name from the U.S. Army Transport Thomas, a converted cattle cruiser that brought 540 American teachers and some of their family members to initiate a new era of public education in the Philippines in August, 1901. By 1902, the number of American teachers grew to 1,074. The ship Thomas was earlier named the Minnewaska (a Minnesota influence). Not all of the Thomasites easily assimilated into Filipino society, though. On the other hand, Peace Corps Volunteers are well known for their ability to assimilate themselves into foreign cultures. Interestingly, Wisconsin has the highest per capita output of U.S. Peace Corps Volunteers (three in my family). The photo above was taken in the early 1900s, probably in Manila. In it, we can see the good- intentioned, kind-hearted faces of some educators looking to make an international impact. In a way, they were the prototypes for what would become the U.S. Peace Corps over six decades later. As for the Wisconsin impact back then , I could see it when I spent several days at a retreat at the University of the Philippines (U.P.) campus in Laguna. That campus reminded me a little of Madison when I saw an old structure with the name of a Wisconsin Thomasite on it; he later went on to become an administrator in Madison. Visit the Thomasite Centennial Project for more information. A project in cooperation with American Studies associations in the Philippines, the Philippine-American Educational Foundation, the Embassy of the United States of America and leading cultural and educational institutions in the Philippines. Click here to go immediately to the main page of this web site. One of the greatest contributions which the United States has made to Philippine progress has been in the sphere of education. America had limited herself to the Western Hemisphere until war with Spain made her a colonial power. Convinced that a government "of the people, by the people, and for the people" was best, she embarked on the experiment of preparing Filipinos for nationhood. An educated citizenry, rather than the higher education of a select few, was the best safeguard for a democracy. So it was that in 1901, a band of American teachers set out to perform an arduous task. Armed with books, pencils, papers and slates, fired by the highest ideals and a genuine desire to help build a new nation across the seas, hundreds of young men and women trained by some of the best educational institutions in the United States established a modern public school system which was to have far-reaching effects on the Filipino way of life. Sent throughout the archipelago, they worked zealously in a country whose numerous ethnic groups differ in language, religion, manners and customs. Floods, typhoons, tropical diseases and the lack of transportation facilities added greatly to the challenges of their work, but earnestness and innate pioneering spirit saw them through those seemingly insurmountable difficulties. Nearly one hundred years later, the United States and the Philippines look back at an American experiment that has no counterpart in world history. Here then, are American contributions to Philippine education.